One firefighter has been injured, Cal Fire said. The Loma Fire in the Santa Cruz Mountains has scorched 4,147 acres by Thursday afternoon, and was 34 percent contained, Cal Fire said. More than 1,900 firefighters are battling the blaze that broke out Monday afternoon at the southern edge of Santa Clara County off Loma Prieta Road and Loma Chiquita Road, 20 miles northwest of Morgan Hill. It has destroyed eight homes and nine outbuildings, and damaged another house. One firefighter was injured Thursday, Cal Fire said, and transported to a hospital. Further details were not immediately available. The area around Loma Chiquita Road was ravaged Thursday. Storage units and a winery were scorched, power lines were down, and houses spared by the flames were scattered throughout the battered terrain. 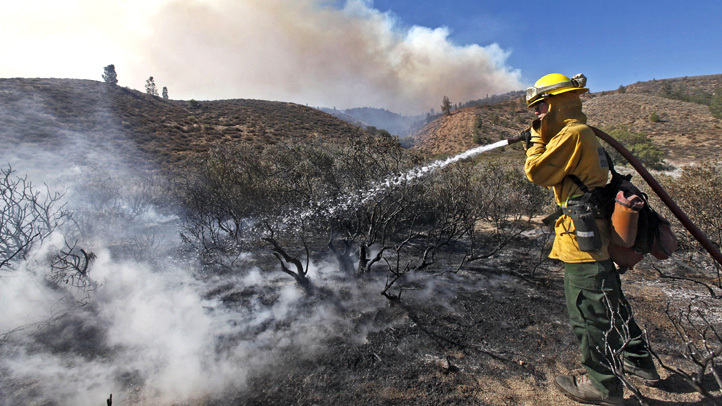 Firefighters had hoped Mother Nature would cooperate more on day four. But Bill Murphy with the Santa Clara County Fire Department said warm weather is still a major hurdle. "The weather is a little bit cooler than it was earlier in the week, but it's still warm," Murphy said. "Humidity at the top of the ridges is still low so we do continue to have active fire behavior." Fog is heavy on parts of the Santa Cruz Mountains so firefighters have to wait for it to lift before they can make air drops. Murphy said conditions will be tricky until Friday afternoon, when cooler, moist air is expected. 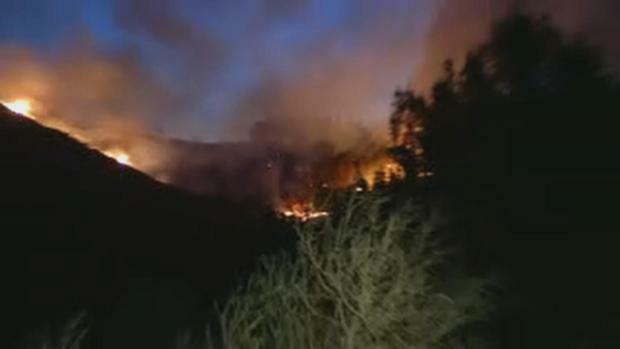 That's when firefighters hope to build a line directly along the fire's edge. Firefighters expect the fire to burn throughout the night and say there's still a chance it will grow. They expect to have the fire contained by Monday. Meanwhile, evacuation orders were lifted for parts of fire-affected areas. Sheriff's officials lifted evacuation orders in Santa Cruz County around 2:30 p.m. on Wednesday. Vehicle traffic will continue to be limited, however, due to a large number of emergency vehicles. Mandatory evacuations in Santa Clara County remained in effect. And even those who were not required to leave their homes in the Almaden Valley feel they're in an at-risk zone — from all the smoke and ash. 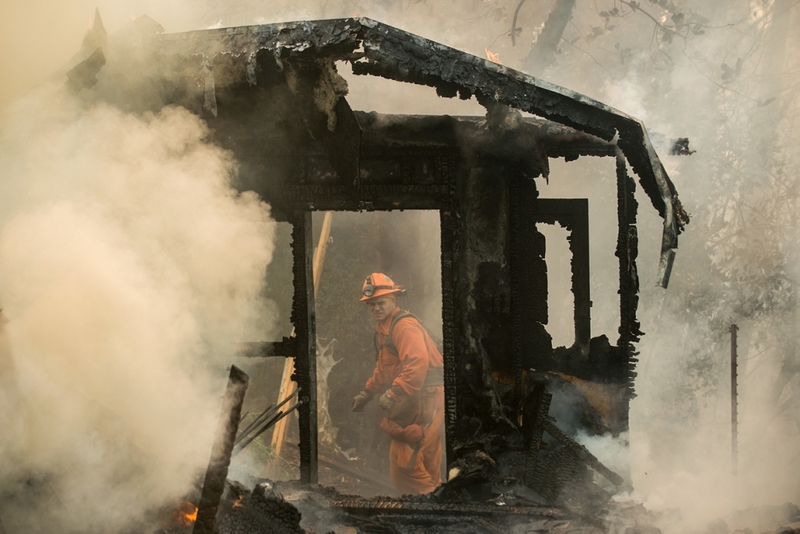 The cause of the Loma Fire remains under investigation.